A revolutionary weight loss system which can help you lose that excess weight and keep it off. The Hypno-Band could change your life forever. Imagine having the results usually achieved by having a surgical Gastric Band fitted but not having to go through surgery, or spend thousands of pounds! Hypno-Band™ is the original complete Gastric Band Hypnotherapy system being used in US, Canada, Spain, Ireland, UK and Australia. Over four sessions we take you through the process of having a gastric band fitted, only in your mind. By using suggestion and visualisation your mind will be convinced that your stomach has become smaller and that you need less food. By eating less and less often you will begin to lose weight. 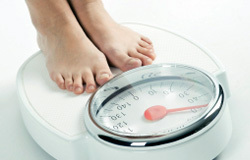 The process uses hypnotherapy and cognitive behavioral techniques to help you achieve your ideal weight - and stay there! The whole process takes 4 one hour sessions. Usually this is achieved over 4 weeks but this is flexible and at your convenience.